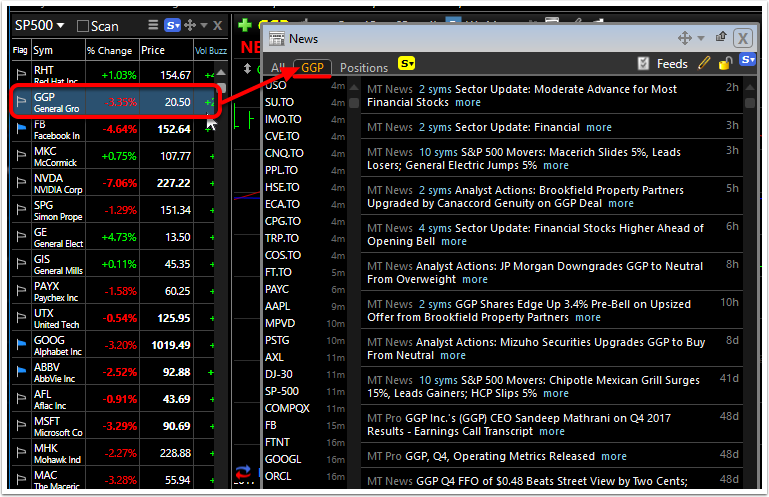 To add the News window to any Layout, click on the Notes & News Menu button. 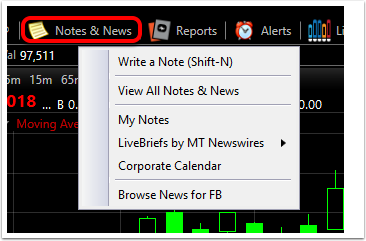 The feeds listed below All Livebriefs separate news into specific subject themes. Each can be used as an individual news feed to narrow the news to a more specific topic. Those feeds above the line in the menu are part of the Investor service level; those below the line are in the Pro service level (price details below). 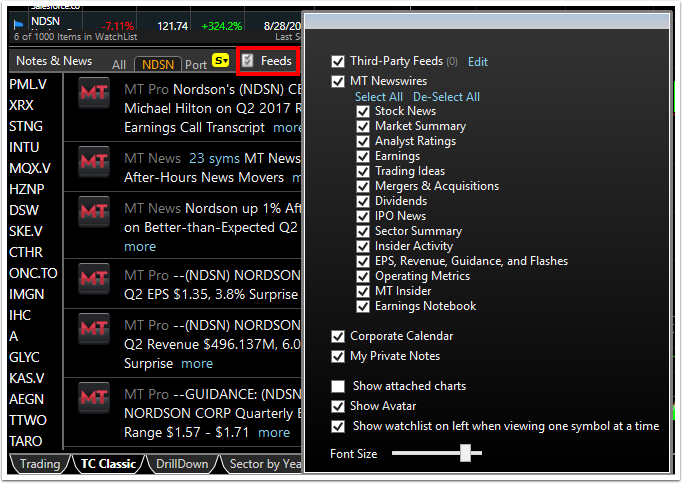 Choose a symbol from the WatchList or jump to a different symbol and the News Window populates with the stories related to the active symbol with the most recent stories at the top. 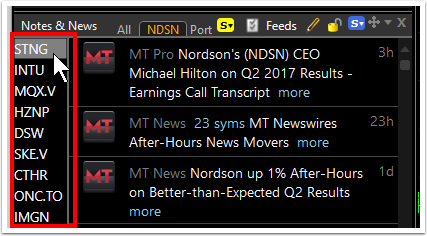 Choose the All tab to view all the news stories on all symbols as they stream in. 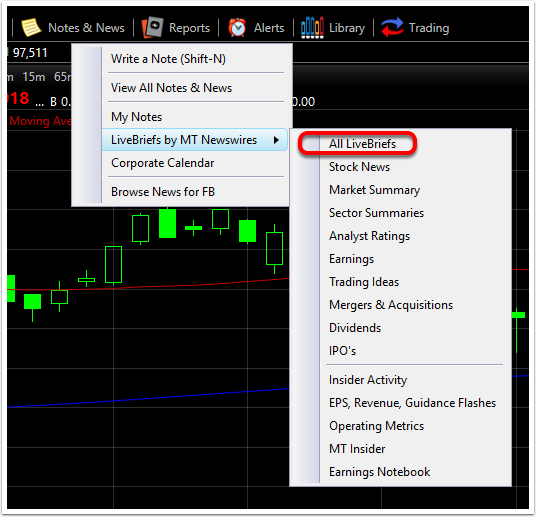 Choose Positions to see only the news on stocks in your Positions WatchList. 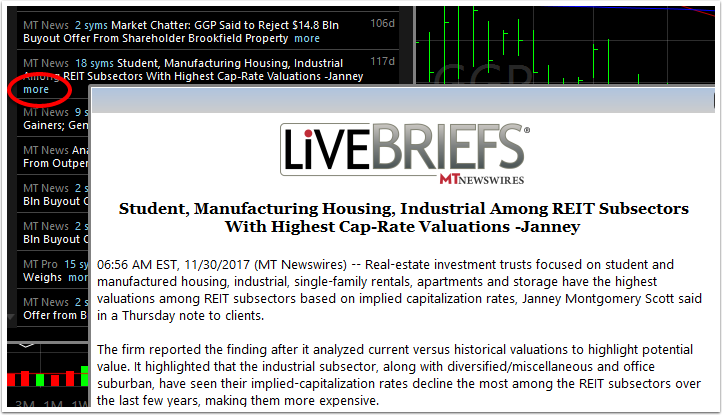 On any news headline, click the "More" button to open a window with the full news story. 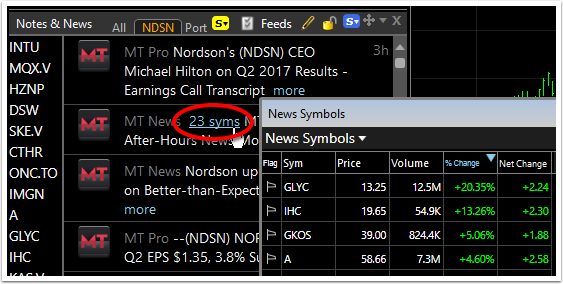 To see a WatchList of the stocks mentioned in a news story, click the link at the beginning of the news headline (X syms). The symbol list at the left of the window streams the symbols with the most recent news stories. 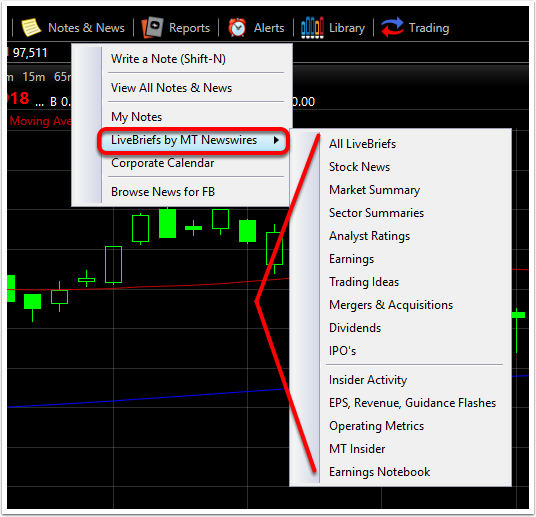 With a news subscription, feeds can be customized by clicking the Feeds button in the window. Simply check or un-check which feeds to choose what shows in the window. 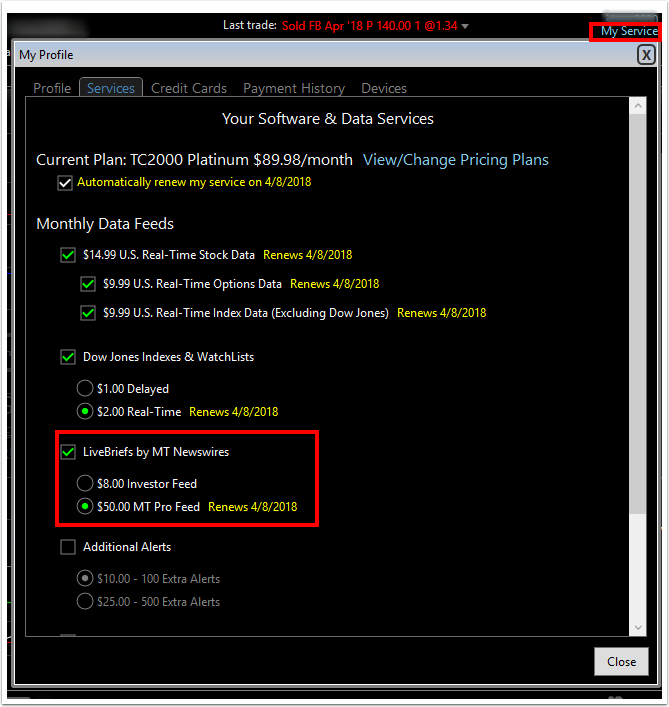 To subscribe to the LiveBriefs by MT Newswires service (at either the basic or professional level) click the My Services button at the top right of TC2000 and select the LiveBriefs option under Monthly Data Feeds.